You probably wondered why I haven't written to you for so long after my last dispatch about the First Craftsman's hideout I found. It's only now that I have courage to tell you about the terrible thing that happened there. I lost my only companion who was with me during the whole journey! In contrast, the boy who I found in the hut silently follows me wherever I go. It looks like he lost his path just as we did, so I don't mind. I didn't want to frighten him with my natural Natar appearance, so I put on my Gaul clothes and tried to look like a Gaul pathfinder. But it had the opposite effect. If the boy was only previously scared, he's now absolutely terrified. I bet his first thought was about how many of us are here, disguised as normal people of these lands. How did I lose Nenet? I examined the volcano in Syracusae and, for the first time during my rather long journey, I felt a connection to that place. It reminded me of the surroundings of our beautiful capital. Nenet was worrying all the way up to the volcano crater – he didn't like the columns of hot air released up there. And there was good reason for that. When we were close to the top, the volcano suddenly ejected cinders, and a huge ash cloud engulfed us. I heard Nenet's anguished cry and saw how he disappeared in the thick cloud. But I couldn't help him. Me and the Gaul boy ran away down the mountain without looking where exactly we were going, in fits of coughing and eyes full of tears. Only once I was at the foot of the mountain did I realize that I could not see Nenet. And worse, I didn't feel his presence around me. 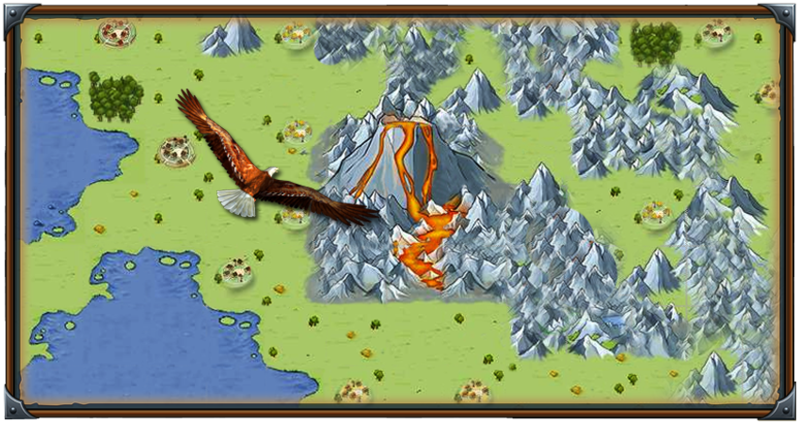 How long would it take for the heroes to travel from the volcano in Syracusae to the region of Delphi at double speed? They are traveling without a tournament square and are disguised as pathfinders. The journey would take 2 hours, 48 minutes and 16 seconds assuming a disguise of a pathfinder and at double speed. Sorry, I forgot to include my nickname in the previous post. The answer is 6 hours 48 minutes and 39 seconds. Server - I dont know it says Com1. International ? It would take them 2 hours 58 minutes and 47 seconds.